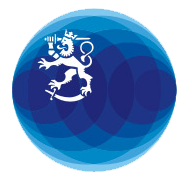 You can use a strong electronic identification, which in practice means that you have Finnish online banking identifiers or a Finnish ID card. Your old passport is a biometric passport with fingerprints, issued six years ago at the most. You are able to follow the instructions provided by the police and know how to save your passport photo via the licence services photograph server of the police. Only photographer’s studios operating in Finland are allowed to save passport photos on the police licence services photograph server. You can collect your passport or ID card from a Matkahuolto collection point yourself or authorise someone to collect it on your behalf. You can complement a passport application that has been initiated online only at police licence service points in Finland, not at a mission of Finland abroad. Passports or ID cards that have been applied online cannot be sent abroad.